One of the first steps in setting up a Google Business Listing is choosing the primary and additional categories of a business. 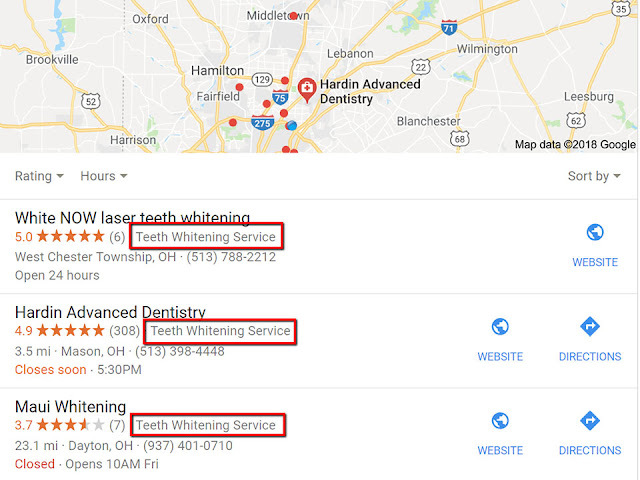 These categories give Google a starting point to begin to add the business listing into local search based on the relevance of the search terms to the services the business provides. If you have never read through the Google My Business support documentation regarding categories I will make it easy for you. I have copied it below. Google's documentation does a great job of spelling out how it expects for the categories to be selected and takes it to the next level by citing specific examples and some of the finer details. Select categories that complete the statement: "This business IS a" rather than "this business HAS a ." The goal is to describe your business holistically rather than a list of all the services it offers, products it sells, or amenities it features. You should focus primarily on adding the most specific categories for your business; we'll do the rest behind the scenes. For instance, when you select a specific category like "Golf Resort", Google implicitly includes more general categories like "Resort Hotel", "Hotel", and "Golf Course." Feel free to skip adding any category that seems redundant with a more specific category you selected. If you can't find a category for your business, choose one that is more general. Google can also detect category information from your website and from mentions about your business throughout the web. "Papa John’s" offers pizza takeout and delivery but does not offer on-premises dining. It should use the category "Pizza Delivery" and additional category "Pizza Takeout" (instead of the less specific "Delivery Restaurant" or "Takeout Restaurant"). "Navy Federal Credit Union" should use the category "Federal Credit Union" (rather than the less specific "Bank"). "Super 8" is a motel with an onsite swimming pool. It should use the category "Motel" rather than "Hotel" and should not include "Swimming Pool" as a category. "24 Hour Fitness" should choose the category "Health Club" (and not its amenities "Gym" or "Swimming Pool"). "A1 Check Cashing" should use the category "Check Cashing Service" (rather than the less specific "Banking and Finance"). "Wendy’s" is a fast food hamburger restaurant that also offers some desserts on its menu. "Wendy’s" should choose the category "Fast Food Restaurant", and the additional category "Hamburger Restaurant", but not use the category "Dessert Restaurant". If your business contains another business that your organization does not own and operate, only use categories that represent your business. "Starbucks", which has the category "Coffee Shop", is operated inside "Barnes and Nobles", which has the category "Book Store" (and does not have the category "Coffee Shop"). "Cardtronics ATM", which has the category "ATM", is operated inside "7-Eleven", which has the category "Convenience Store" (and does not have the category "ATM"). "Nobu" has the category "Restaurant" and is operated inside "Hard Rock Hotel", which has the category "Hotel" (and does not have the category "Restaurant"). The following types of co-located businesses should each have their own page. If you need to use both categories for the same business location, create two pages instead. Be sure to use a different name for the second business (also see "Departments"). Additional categories is a key part of optimizing a Google Business Listing. This is one of the highest ranking factors that adds search frequency of a listing. 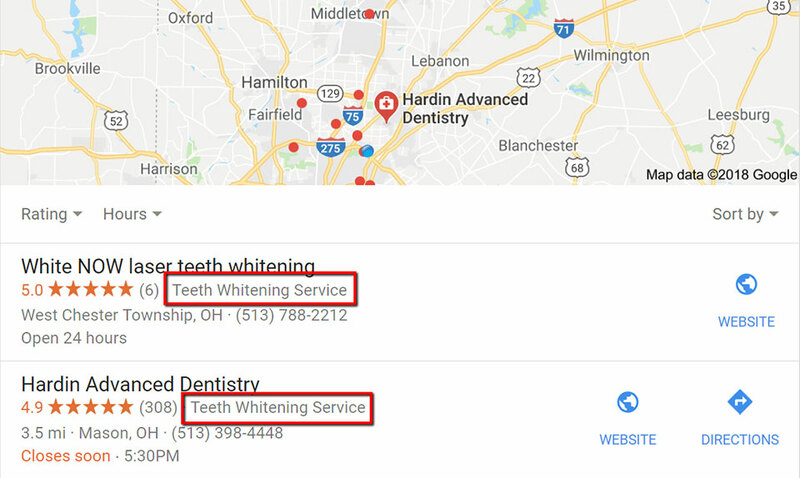 On Monday April 16th, 2108 Google made a minor tweak to the way that the Google Local Search results are being displayed and showed a fact that we already knew, the additional categories were being scraped to find relevant businesses based on the keywords used in Google Search. If Google determines that the business listing's additional category is more relevant than the primary category based on the the keywords used in the search, it will show the additional category instead of the primary category in the Google Search 3 pack. In this example you can see that the additional category is carried over with the listing on the left hand side of the screen, but that the listing displays the primary category once selected in the detailed view on the right. 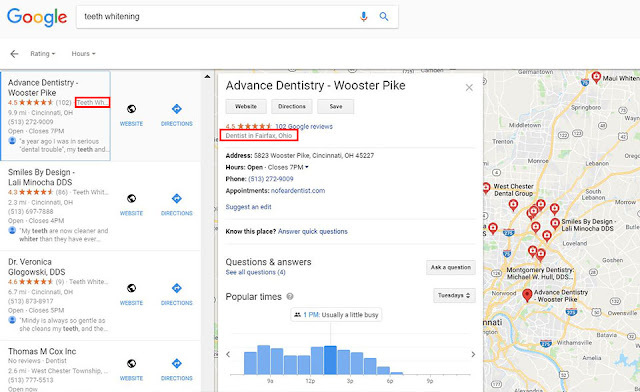 To learn more tips about optimizing your Google Business Listing sign up for our monthly newsletter or attend one of our free advanced Google My Business trainings.